Comprehensive Paediatric First Aid Guide. 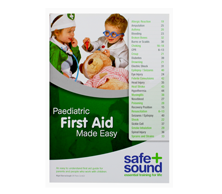 This book is an easy to follow comprehensive guide to first aid for children and babies. Price includes postage and packing.